McKENZIE, JAMES, naval officer and steamboat captain; b. c. 1782 in Scotland; m. Catharine Milton, and they had three children; m. secondly Margaret Badden, and they had two children; d. 27 Aug. 1832 in Kingston, Upper Canada. According to his own testimony, James McKenzie was “bred a seaman” and his earliest nautical experience was in the British merchant marine, which he entered as a boy around 1794. He served in the Royal Navy during the French revolutionary and Napoleonic wars, attaining the rank of master. 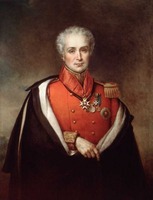 In the spring of 1813, as part of the first Royal Navy contingent assigned to the defence of the Great Lakes, McKenzie accompanied Sir James Lucas Yeo* to Upper Canada. There he served in several roles during the war with the United States: in the gunboat service on Lake Ontario, as “master attendant” in the Kingston dockyard, and on board the Wolfe and Prince Regent. His exertions in the dockyard led Yeo to describe him as “a very worthy man and excellent officer” who had played an essential role in outfitting the expedition against Oswego, N.Y., in 1814. At the conclusion of the war, McKenzie was reduced to half pay and returned to England, where he developed an interest in steam-engines and their marine applications. By 1817 he was back in Upper Canada and that year was appointed to the command of the steamboat Frontenac. The Frontenac was not the first steamboat in the Canadas; that honour goes to the Accommodation, constructed in Montreal in 1809 for John Molson*. Nor was the Frontenac the first steamboat on the Great Lakes – the American-built Ontario had begun operation on Lake Ontario in early 1817. The Frontenac, however, was the first Canadian-built steamboat on the lakes, its construction apparently instigated by military and naval authorities anxious to anticipate the Americans. The company that built her was composed of Kingston’s leading businessmen, including John Kirby* and Thomas Markland*, and a shipwright involved in her construction, Henry Gildersleeve*, was to become one of the most active steamboat builders and promoters in Upper Canada. Designed to carry both passengers and freight, the Frontenac was described by the Kingston Gazette as “the best piece of naval architecture of the kind yet produced in America.” It was launched at Bath on 7 Sept. 1816 and began its service between Kingston and Niagara (Niagara-on-the-Lake) the following June. In its ten-year career under the command of McKenzie, the Frontenac endured only one major accident, a well-publicized but relatively harmless grounding in the Thousand Islands. Although McKenzie’s critics could never fault him on his seamanship, questions were raised about his management of what proved an unprofitable business venture. McKenzie acted as the “confidential agent” of the Frontenac’s management committee, a role which did not protect him from the snide comments occasionally directed at the “immense salary” of both himself and his engineer. Moreover, John Strachan*, the owner of a partial share, complained bitterly that “no person here [York] ever knows any thing about her and it appears that she is entirely at the disposal of the Capt to go or come as he chooses.” Others, however, shifted the blame below decks, claiming that the engineer “tyrannized” over McKenzie and determined the vessel’s sailing times. When, after eight seasons, the Frontenac was sold to John* and Robert Hamilton of Queenston, McKenzie went to work for her new owners. Even after she was scrapped in 1827, McKenzie remained in Robert Hamilton’s employ and assisted in the construction in 1828 of the Alciope, a much smaller vessel powered by the Frontenac’s machinery. He was captain of the Alciope for three seasons and probably part of a fourth. In 1831 Hamilton decided to install American-built high pressure equipment in the Alciope and McKenzie retired. Throughout his career as Lake Ontario’s premier steamboat captain, McKenzie had occasionally pursued entrepreneurial opportunities. His proposals to develop a place for outfitting and repairing vessels and for running a steam ferry between Kingston and Pittsburgh Township fell on deaf ears. After leaving active command, he became involved in the promotion of several other Upper Canadian steamers. He served on the building committee of the John By, which was eventually built under a contract obtained by Robert Drummond, and he helped Colin Campbell Ferrie* and the other directors of the Constitution in negotiating terms for its construction. More important to McKenzie was the Sir John Colborne, the first steam vessel to run on Lake Simcoe. He had proposed her construction, committed himself to taking 25 per cent of the stock, and arranged the delivery of her engine. None of these vessels were operating by the time of his death. McKenzie’s political interests never developed much beyond his commitment to the improvement of inland navigation. In the spring of 1828 he was appointed to the commission that built the first new lighthouse in a generation on the Upper Canadian side of Lake Ontario. Later that year, in the last provincial election of Sir Peregrine Maitland*’s administration, McKenzie ran as a conservative against Hugh Christopher Thomson and Thomas Dalton* in the riding of Frontenac. 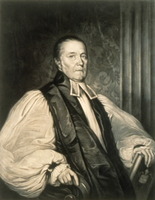 On the hustings he asserted that “the Legislature may be regarded as the steam-engine of the vessel of the State” and argued that what the farmers of the riding wanted most were markets, good roads, and improved inland navigation. McKenzie placed last and, despite subsequent protests, the results stood. AO, ms 78, John Strachan to John Macaulay, 29 Nov. 1823; Macaulay, inventory of books [bequeathed by James McKenzie], 1832; RG 22, ser.155. PAC, MG 11, [CO 42] Q, 141, pt.ii: 77–79; MG 24, I26, 4, John Hamilton to Robert Hamilton, 19 Jan. 1825; RG 1, L1, 28: 252, 254, 344, 368; 29: 148, 190; 301: 237, 278; L3, 338: M11/261, 281; 341: M12/165, 228; RG 5, A1: 26227–30; RG 8, I (C ser. ), 126: 65–74, 101–2; 370: 114–17a; 730: 71–72; 731: 112–13. PRO, ADM 6/154; ADM 37/1021, 37/2347, 37/2490, 37/3818, 37/4498, 37/4686. John Howison, Sketches of Upper Canada, domestic, local, and characteristic . . . (Edinburgh and London, 1821; repr. [East Ardsley, Eng., and New York], 1965, and Toronto, 1970). Town of York, 1815–34 (Firth). Christian Guardian, 5 Sept. 1832. Colonial Advocate, 18 May 1826. Gleaner, and Niagara Newspaper, 3 Sept. 1827. Kingston Chronicle, 14 Jan. 1825; 1 June 1827; 26 July, 2 Aug. 1828; 19 Aug. 1831. Kingston Gazette, 25 Nov. 1815; 6, 13 April, 14 Sept. 1816; 7 June, 20 Aug. 1817. Upper Canada Gazette, 14 Aug. 1817. Upper Canada Herald, 27 May, 17 July 1828; 15–22 Dec. 1830; 29 Aug. 1832. Western Mercury (Hamilton, [Ont. ]), 3 May 1832. Canniff, Hist. of the settlement of U.C. W. A. B. Douglas, “The blessings of the land: naval officers in Upper Canada, 1815–1841,” Swords and covenants, ed. Adrian Preston and Peter Dennis (London, 1976), 42–73. Robertson’s landmarks of Toronto, 2: 699. Scadding, Toronto of old (1873). E. F. Bush, “The Canadian lighthouse,” Canadian Hist. Sites, no.9 (1974): 61–62. E. A. Cruikshank, “Notes on the history of shipbuilding and navigation on Lake Ontario up to the time of the launching of the steamship Frontenac, at Ernesttown, Ontario, 7th September, 1816,” OH, 23 (1926): 33–44. Walter Lewis, “John By,” Fresh-Water (Kingston, Ont. ), 1 (1986), no.1: 31–33. H. A. Musham, “Early Great Lakes steamships: the Ontario and the Frontenac,” American Neptune (Salem, Mass. ), 3 (1943): 333–44. R. A. Preston, “The history of the port of Kingston,” OH, 46 (1954): 208–9. Walter Lewis, “McKENZIE, JAMES (d. 1832),” in Dictionary of Canadian Biography, vol. 6, University of Toronto/Université Laval, 2003–, accessed April 19, 2019, http://www.biographi.ca/en/bio/mckenzie_james_1832_6E.html.